Google allows the integration of the music players with the Mp3 files present on your phone and this is the main reason that there are tens and hundreds of music players present in the Google Player. Some music player provides the uploading of the music to the cloud services while others will let you change the equalizer settings. Similarly, some music player will let you transfer the music from the iTunes library and others provides a great user-interface, interesting widgets and amazing shortcuts to Play, Pause, Next and Previous Songs on Android Phones. Here’s our list of the best 15 Music Players for Android Devices. Most of the players also works perfectly with the Android Tablets. Every Android Music Player comes with the unique features and functionalities and not only a single one will let you download or record the music from different online website or music streaming services and only double twist will let you transfer the music library from Mac to Android phone. 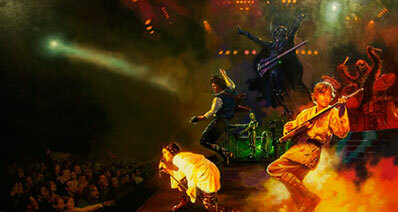 However, the process of transferring the music is very complex and not everyone can do that. All these problems can be eradicate using iMusic for the Windows or Mac OS X, this amazing software will let you record and download music virtually from every website on the internet. From Spotify to YouTube, Pandora to Last.FM, users can download tracks from any website and can transfer them to the Android Device with one click. Another amazing feature is transfer of tracks from the iTunes Library on your computer to Android Phone and iPhone to Android Phone. 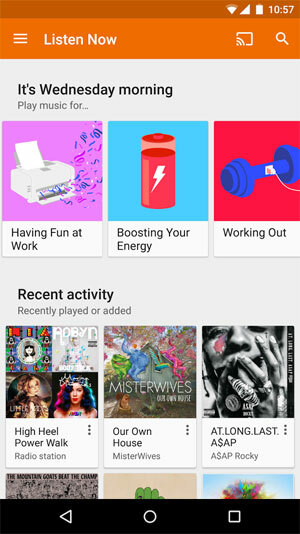 Apart from these features, you can also fix the music present on your Android device as iMusic will automatically add the Tag-ID3 to your music and missing album artworks. 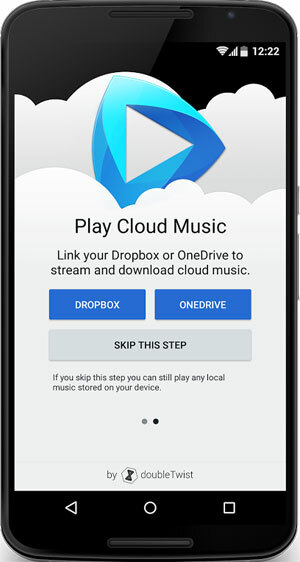 All-in-all, it is the best way to download or transfer music from any computer to your Android Phone. The very first music player is Google’s very own, Google Play Music. With the minimalistic user-interface and library of thousands of tracks on Google Play, users can download and listen the tracks for absolutely free of cost. The best thing about Google Play music is that it will allow you to upload tracks from your computer and they will be instantly available on your Android device. So, you can listen these tracks on your Android phone with the active internet connection. Moreover, you can also save these tracks on your Android Phone to play them offline. 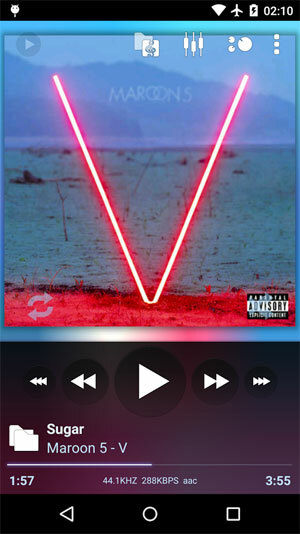 Apart from this feature, Google Play Music provides a great widget and mini player for your lock screen. 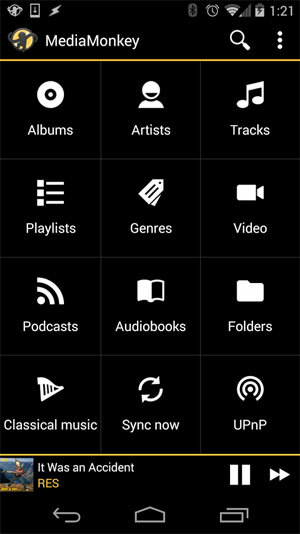 Black Player Music Player is another music application for Android device which provides a simple, user-friendly interface, tons of widgets and even themes on the Android device. The true essence of Android OS lies in customizing everything that you can and Black Player provides that option. 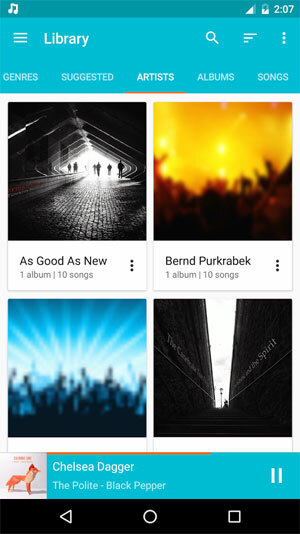 There are plenty of themes which can be downloaded and installed on your Android device for free, however, the premium version removes Ads in the software and will automatically add the missing tags to your songs. Lastly, it also provides an equalizer for better music listening experience. 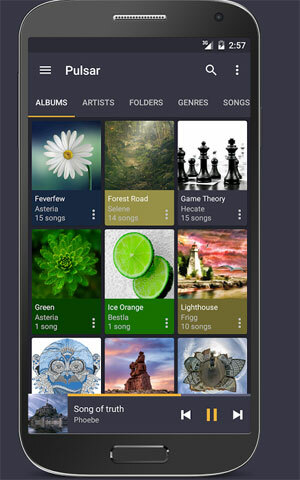 As the name of the app indicates, it provides powerful features as compared to the other popular Music apps. From equalizer to themes, widgets to artwork, shortcuts to gestures, PlayerPro Music Player has everything that an Android user needs. Although the price of this music player is hefty, yet it provides every feature in such an amazing way which other music players fail to provide. 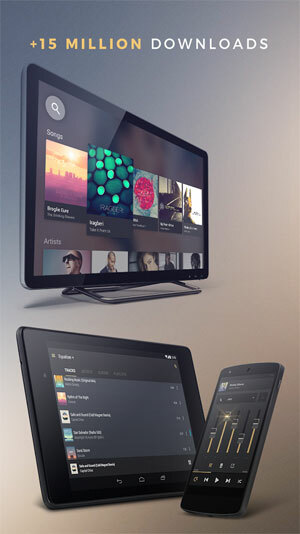 The user-interface of the player looks similar to the interface of the Spotify for Android Phones. 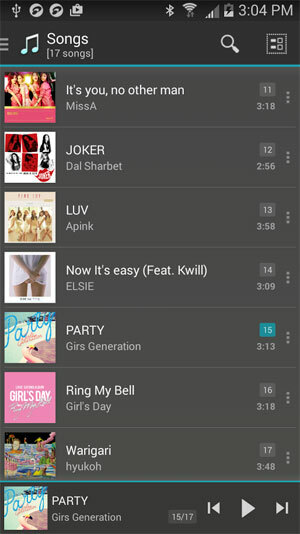 Double Twist is probably one of the most popular third party music player in the Google Play Store and the reason behind the popularity of this player lies in the features that this player provides. This is your best solution to transfer the whole iTunes Library to your Phone using the free desktop application that comes with it. Moreover, you can also create your own music library on different cloud services such as Google Drive, Drobox, Box or even the Outlook and after integrating the CloudPlayer, users can listen to the tracks while on the go. Apart from these great features, CloudPlayer also provides free Radio listening on your Android Phone. 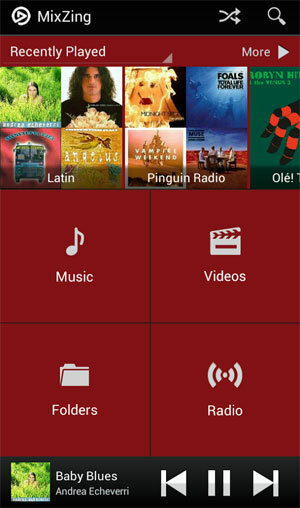 With the powerful Amp settings, this music player provides a great music listening experience to the Android users. There are plenty of great themes, amazing user-interface, 5 bands equalizer support, playback features and even editing the audio tracks within the music application. With these great features, it still doesn’t provide the cloud support. This little, free yet one of the most advanced Android player will let you play music, videos, Internet Radios and you can even make different folders within the application. While listening music, you can also see lyrics on the screen for the millions of the songs and the best part is that it will automatically add the Artist name, Album or genre to any song that does not have it. Users can also discover music just like Spotify and Pandora from the online servers and can edit multiple Playlists at the same time in MixZing Music Player. This app comes in the free and paid version which will allow you to listen music with the 6 Bands equalizer, beautiful widgets for your Android device and multiple shortcuts to enhance the listening experience on your Android device. Another unique feature is the dark mode which is perfect for listening the music during night time and you can also see lyrics for different songs right on the screen of the music player. Lastly, the paid version will allow you to play the music from your Android device to your TV using the Google Chromecast and you can browse different folders on your Android device for music. 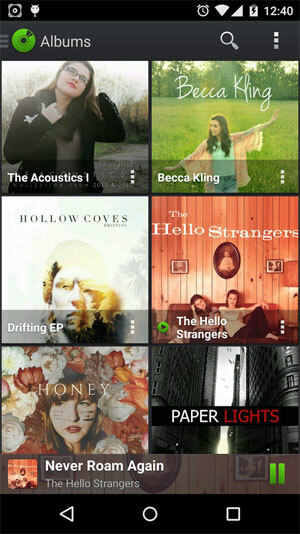 Just like Cloud Player, Rocket Music Player is another hugely popular music app for the Android users. With the great material design, this app also provides more than 30 different themes, 10 bands equalizer in the pro version, folder support and ability to stream the music on the TV using Google Chromecast device. With the integration of another app, users can also see the lyrics right in the application. Other amazing features include making the Playlist by selecting multiple tracks, amazing lock screen which can be customized in the application and ability to play Audiobooks and Podcasts. 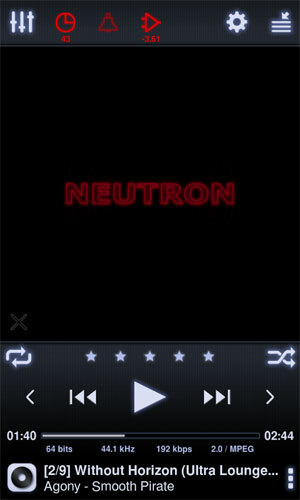 When it comes to listening music on Android phones using a professional app, Neutron Music Player is a must have application. With tons of features, this application does not only enhance the music listening experience but also comes in plenty of languages. The pro-version of this application supports more than 10 different Audio formats, Playlist formats and even the lyrics formats. It also provides listen the radio using internet, Gapless playback, 21 different equalizer settings which comes preset on your Android device, a great way to manage playlists and sleep mode which will automatically turn off the music after the preset time on your Android device. I still remember the time when I used to listen music on my Windows XP computer with the amazing Jet Audio. This amazing program is available for Android users with tons of new features. Like the older windows version, the best thing about Jet Audio Music player is the simplicity, everything is present right on the screen and there are no complicated settings to use this amazing app. 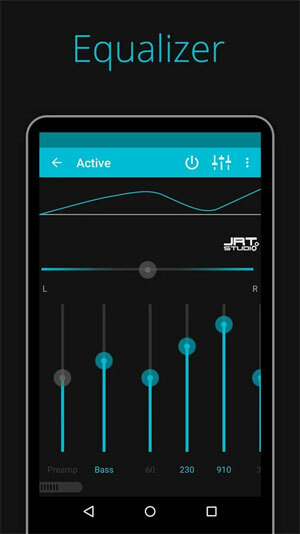 It also comes with the Jet Audio’s signature preset options for equalizer to provide the best music listening experience on Android devices. N7Player is not just another music application for the Android phones, it provides a unique yet creative way to listen the music on your Android devices. The best thing about this application is the way it will organize the music present on your device. 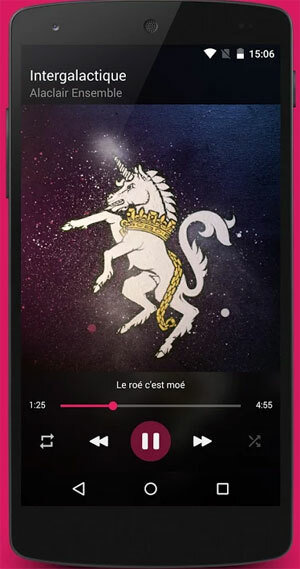 Unlike other apps, it will organize the music with the artwork, so, that you can easily point out the track that you want to listen on your Android Phone. Apart from supporting the popular Mp3 formats, it also supports the FLAC and OGG format on your Android Phone and provides 10 bands equalizer to maximize the music listening experience on your Android Phone. From User-Interface to functionality, it has everything that a good yet unique music player should have. As the name of the application indicates, it is not just a music player, it also has the equalizer and bass booster right in the application. Apart from a minimalistic user-interface, it will also let you mix different tracks to make your own mixtape right on your Android device. The best thing about this application is that it is also available for the Android TV and tablets. Moreover, you can even share the music library present on your Android device with your friends and they do not even have to download the whole library, they can stream the music using the same application on their Android phone. The base booster comes in the pro version and will astonish you with the amazing music quality that Equalizer has to offer. Although Music Player does not provide the professional features, yet it is a good player for all those users who want the great user-interface, multiple themes, tons of skins, an amazing way to organize music and an equalizer. These all options come with the Music Player for absolutely free of cost alongside of the three amazing widgets to play music from the homescreen on your Android Phone. 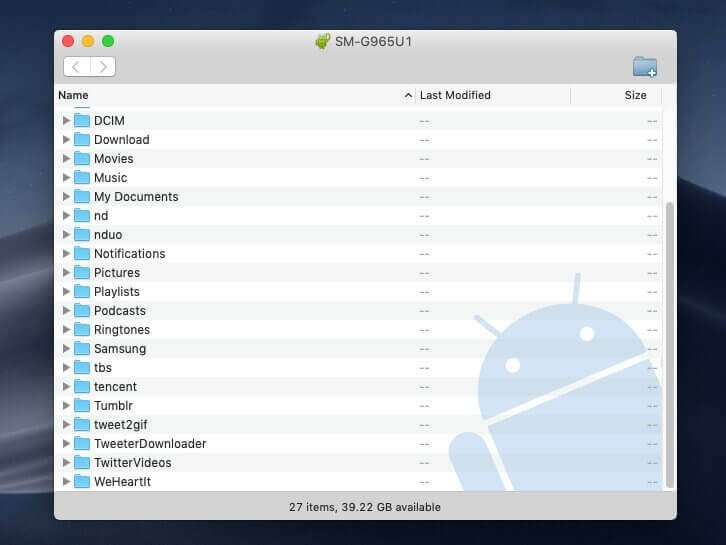 Lastly, it will also let you search from the music library present on your Android phone to play a track quickly. 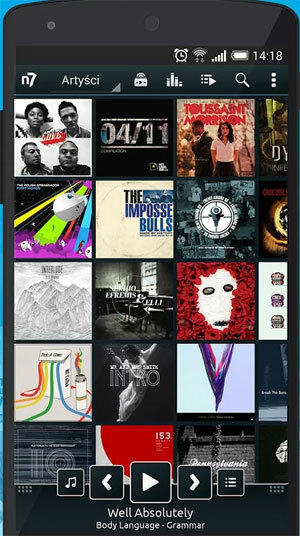 Pulsar Music Player is free yet a great player to listen music on your Android device. The noticeable features in Pulsar Music Player includes amazing user-interface, perfect material design, smart playlists, widgets, ability to stream music on TV using Chromecast, scrobbling for Last.FM and even the on-screen lyrics. 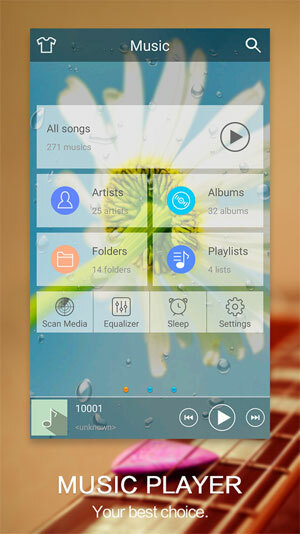 Moreover, it also provides different themes for the music player. 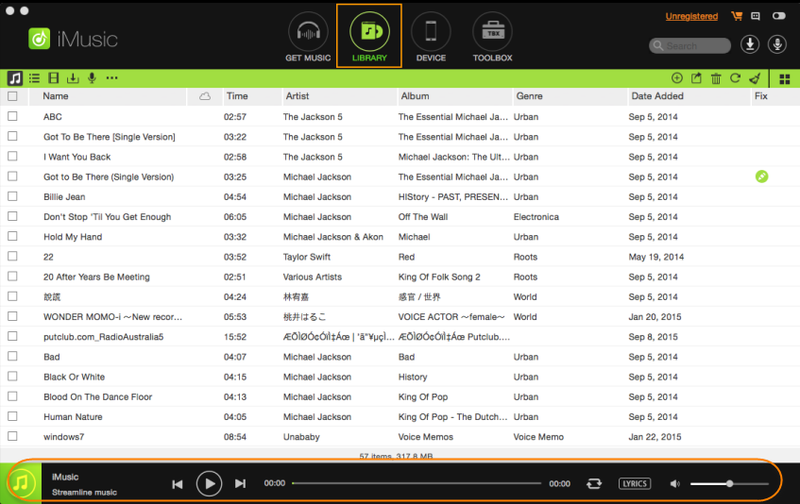 The last music player in our list is features-enriched, professional music player for Pro users. The user-interface of the app is easy and it provides general features alongside of the special features such as transfer of the audio tracks from your computer using Wi-Fi. 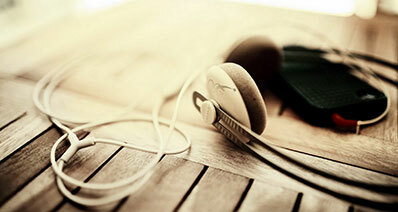 Users can also listen to Audiobooks, Podcasts and classical music from the application. The developers have organized everything right on the screen and all you have to do is select one option and then you are good to go.